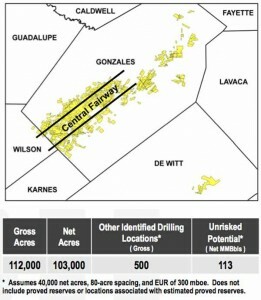 Forest Oil has entered an agreement to sell its South Texas oil & gas properties outside of the Eagle Ford Shale to Hilcorp. The deal will raise $325 million that will be used to pay down debt. The company has sold approximately $600 million in non-core assets in the past six months. This deal is estimated to cover 129,000 acres. Forest will retain all of its natural gas hedges and now has approximately 95% of its gas production hedged for 2013. The properties sold included production of 66 mmcfed (86% natural gas) and 272 Bcfe of proved reserves.